Ulfah holds a bachelor’s degree in Horticulture from Bogor Agricultural University. She then grew an interest in social issues and decided to pursue graduate studies in Communication Science at the University of Indonesia. 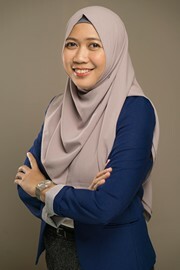 Ulfah is a qualitative researcher, with an interest in issues on child and youth, family, minority groups, and health. As a qualitative researcher, Ulfah plays a role in the whole process of research, such as developing research design, leading data collection activities, and conducting data analysis and interpretation. During her years in SMERU, Ulfah has been involved in research on issues related to social protection, governance, health, and children. Ulfah received a scholarship from Tanoto Foundation for her graduate studies at the University of Indonesia in 2011–2013.